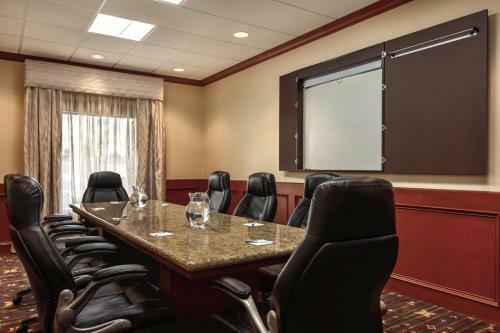 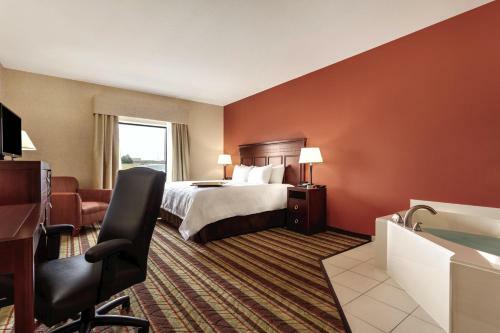 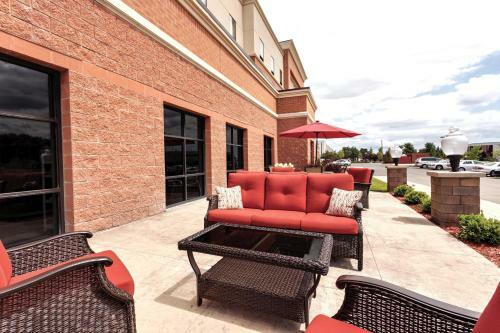 Conveniently located off Interstate 75 and less than 11 miles from Detroit Metropolitan Wayne County Airport, this Southgate hotel features an indoor pool and hot tub on site. 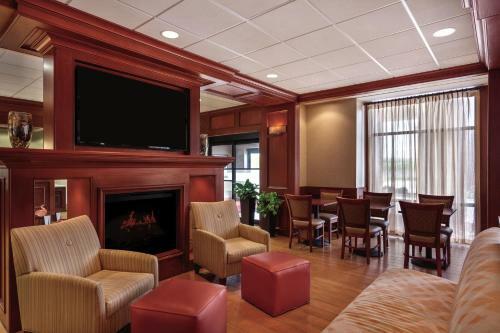 A complimentary breakfast buffet is offered each morning. 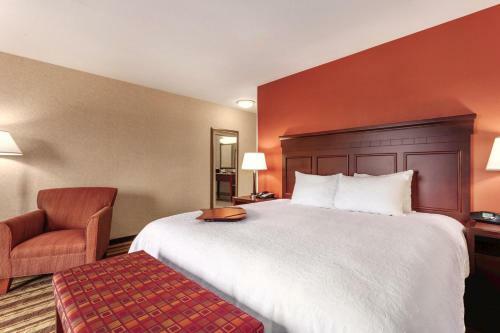 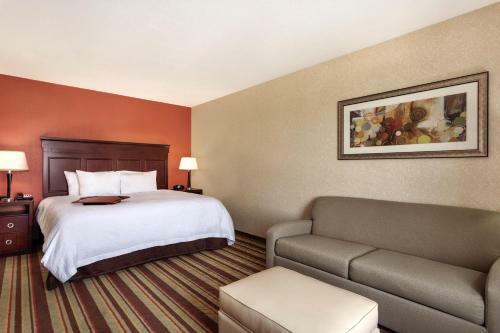 A flat-screen TV and free Wi-Fi are included in every guest room at Hampton Inn Detroit Southgate. 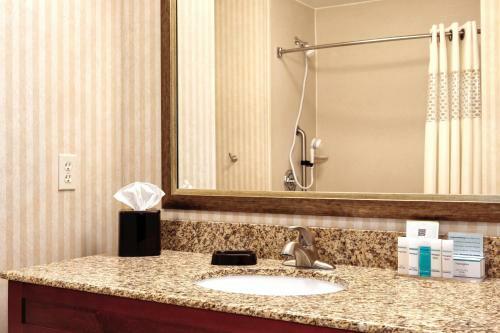 A microwave, small refrigerator and tea and coffee-making facilities are also included in all rooms. 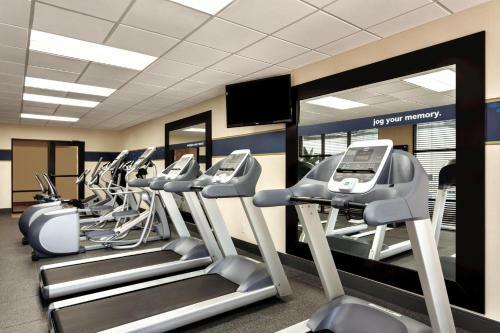 Guests can enjoy a workout in the fitness centre at Southgate Detroit Hampton Inn. 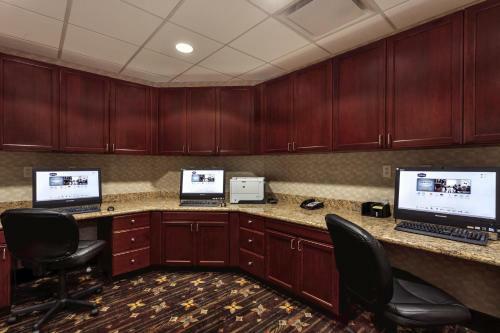 An on-site mini-market and business centre are available in the lobby 24-hours a day. 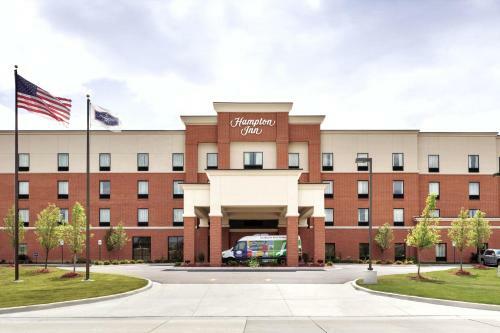 Free parking is offered to all guests. 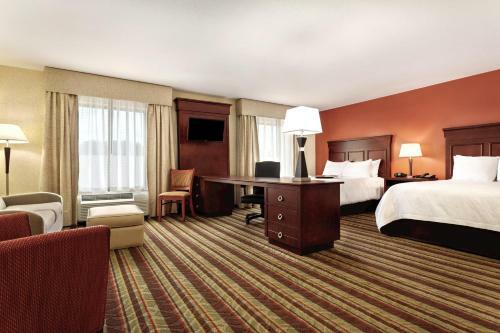 Comerica Park, Ford Field and Detroit city centre are within 20 minutes’ drive of the hotel. 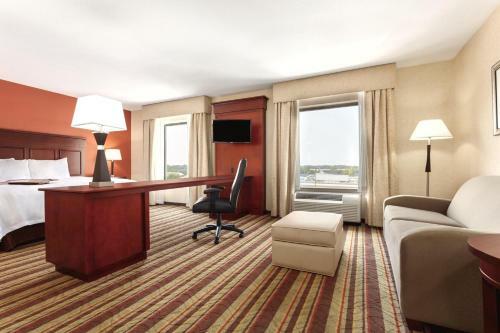 Henry Ford Museum is 10 miles away. 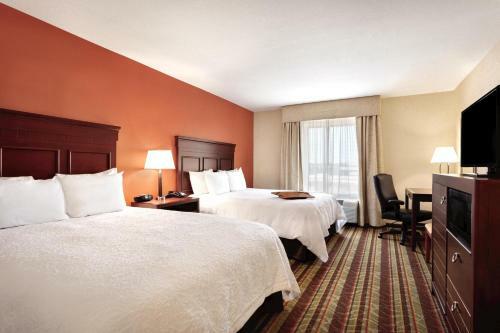 the hotel Hampton Inn Detroit/Southgate so we can give you detailed rates for the rooms in the desired period.